It's 2018 and savvy content marketers know that it’s never too early to start planning for the year ahead. Here’s what to expect from social media in 2018 (and how to find success). According to a Goldman, Sachs & Co. study, Generation Z is more valuable to most brands than even millennials! And in 2018, this generation is just beginning to make purchases and enter the workforce. What’s interesting about GenZ-ers is they don’t stick with one social channel all the time. According to The Drum, “With students, mostly GenZ, using up to five different screens over the course of the day and evening, it should be no surprise that they are not married to just one platform.” However, Snapchat and Instagram are in the lead over channels like Facebook, when it comes to GenZ. From Instagram to Pinterest, Twitter, and Facebook, social media continue to wade in the shopping waters. But, 2018 is when it will truly take off. For example, Victoria’s Secret is ahead of the game—everything they share on Instagram is up for purchase from their Shopify integration. In fact, Instagram may soon reach 1 billion monthly active users. When teamed with Shopify (boasting more than 500,000 businesses), this channel is sure to impact brands hoping to sell on social. With the rise of “fake news” on social channels, Facebook and Twitter are finding ways to integrate human filters into their processes. Until now, the engagement was the main driver of success within algorithms, but this doesn’t help when combating false news. It’s predicted that 2018 will usher in a new wave of best practices and perhaps even changes to news feed algorithms because of this trend. Content marketers focus more on video rather than static images—and that trend is expected to grow this year. Brands discovered that effectively engaging with their audiences is much easier when using video. In fact, Mark Zuckerberg, the co-founder of Facebook, estimates that 90 percent of Facebook’s content will be video-based by 2018. However, brands be warned: Video should still have a purpose and be directed to your specific audience—not just making video for the sake of it. Applying more sustainable strategies is key when leveraging social for your business. It’s true that social media was equal and free for all—but now, when it comes to getting your hard-fought content actually seen, it’s going to take more investing. According to Hootsuite, “Brands must accept that organic reach is steadily declining and stop relying on short-term tactics that used to work.” Applying more sustainable strategies is key when leveraging social for your business. One way to do it is to be more selective when choosing your content, and where you post it. Don’t stretch your brand over multiple channels if your team can’t support it! Chances are you have some favorite social media influencers you follow and take recommendations from. And it’s more than likely that your customers do, too. In fact, 74 percent of people look to their social media networks for advice on buying decisions, and 40 percent of people purchased an item based on seeing it promoted by an influencer via Instagram or Twitter. Now’s the time to reach out to your industry’s influencers and collaborate on content. Whether it’s the original Snapchat or Instagram, the newcomer for live stories, these instant updates will continue to engage users this year. Consider this: Inc. predicts that Snapchat will soon offer an incentivized video feature to their users, similar to what YouTube offers. 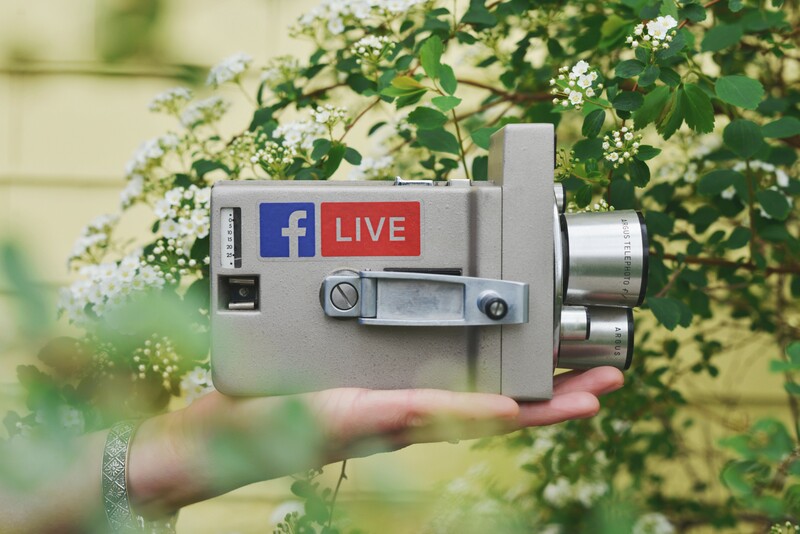 And product marketers are likely to use Facebook Live in 2018 to do more product demonstrations, plus showing videos of real people using their products. This year, your brand may try live video as a way to start engaging with your users in real time. Certainly, there will be many changes in 2018 to the social media realm! But no matter what this year holds in store for your brand, by planning for these trends you can be confident your strategy will be successful.